Kundalini Yoga is known as the Yoga of Awareness & has fast acting and long lasting effects on your mental, physical and spiritual body. Celeste uses these ancient techniques to create a sanctuary for all who attend with the intention for us to experience our highest self and connect with the quiet space within. We recognize many are unfamiliar with this style of yoga. The best way to explain it is to experience it. For more information, please Learn more here: and feel free to email us with questions! Especially designed with a focus on healing, energizing & connecting with your Highest Self. In addition to the fast acting benefits on the different systems of the body, this class has intentions of bringing you into a grounded centered experience of yourself. Every class ends with relaxing & mind clearing sounds of the Gong! Open to prenatal students & their partners, message Celeste about bringing babies & children! Limited Yoga mats available for Free use. EVERY pregnant or brand new mom needs this class! 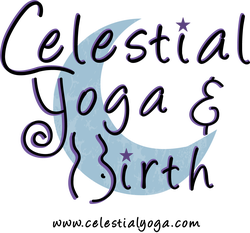 Celeste creates a special space where women can connect with other mothers, stretch & strengthen their body AND mind in preparation for childbirth & the demands of parenting. You are guaranteed to leave trusting in your body's ability to bring your baby into this world & parent with confidence. There is always a theme and share time that mamas report is very helpful AND we feature MamaBaby graduates who return to share REAL BIRTH STORIES. Babies, Children and partners are welcome! This class supports the mother and baby during the first year and beyond. Babies from 6 weeks through just practicing walking are welcome (exceptions always welcome: email/text me!) and these little people lead the flow of the class as we stretch and strengthen our bodies, bond with babies & witness their creative interaction, learn helpful breathing techniques for patience & energy and most importantly, connect with other mothers! Please bring a baby carrier if available - portions of the class may incorporate babywearing, but not always. "Thank you for the wonderful prenatal classes, I always leave feeling more confident and connected to my baby than when i entered the doors. The community of women and our conversations that start class make me feel like i am not alone in different things i am thinking & experiencing during my pregnancy. I love how you infuse childbirth preparation into the poses - the reminders that we can always do more than we think we can. Overall the class really helps bring me into a meditative mind and surrender into a deep relaxation unlike i experience anywhere else, and i consider that the best practice for labor. I look forward to your classes every week!" ~ Jessica. "Better than pot, and without the side effects..." Cynthia & Anon. "This yoga class brings a significant shift in my energy, as my grandmother would say, 'ruffles my lotus leaves'. I like the dialogue and thought provoking themes of each class and the intent to grow a spiritual community. As we discover our commonality in spiritual growth and goals, we engender a sense of togetherness & perceive a greater existence outside of ourselves." ~ Randall"
See Events Page for Special Classes Celeste is teaching in the surrounding area!